Ball-Pythons.net - Take a look at these great photos of a stunning Kalatoa super dwarf reticulated python out in the sunshine. Ball-Pythons.net - Check out the lovely colors on this terrific looking platinum dwarf reticulated python. 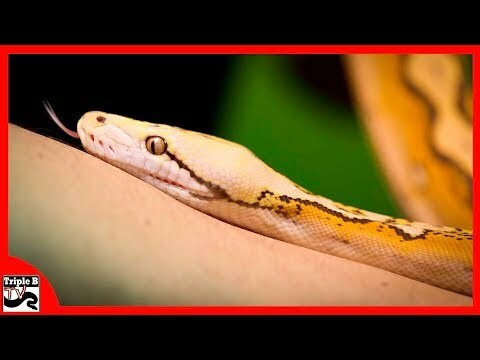 Ball-Pythons.net - Take a look at these nice photos of a gorgeous reticulated python that is doing some outdoor exploring. The Reptile Report - Daniel McCool took this excellent photograph of his stunning white phase reticulated python. 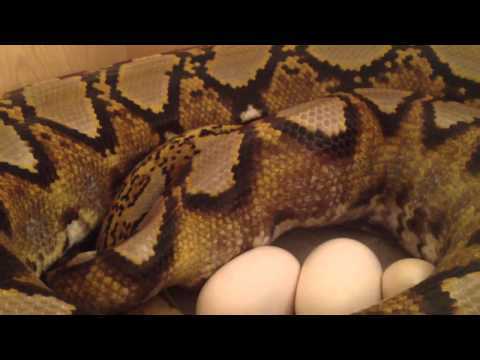 YouTube - A terrific view of a beautiful Sunfire Reticulated python laying a clutch of great looking eggs.